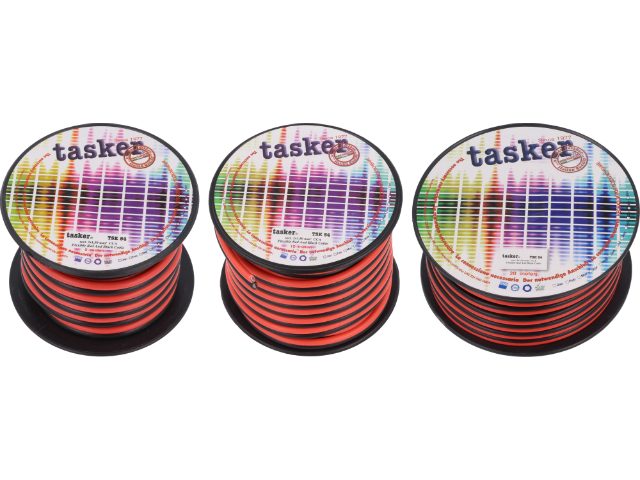 TME’s offer has been enriched by TASKER speaker cables on reels of 5, 10, or 20 meters. They come in two colour options: with transparent or black-and-red sheaths. The cables are wound on appropriate reels and aesthetically packed. Check the full offer of speaker cables on reels of 5, 10, and 20m from TASKER.